LOS ANGELES (VIP NEWS) — Legendary rock band Smashing Pumpkins has signed with United Talent Agency in all areas. UTA will handle the Smashing Pumpkins` touring in North and South America, and also represent the business ventures both of the band and those of frontman, Billy Corgan who holds interests in fine art, literary and theater. "Not only are the Smashing Pumpkins one of the most powerful live bands on the planet, but we see virtually unlimited opportunities for them beyond touring, and we are excited to see where we can take them," says UTA music agent Jbeau Lewis, whose part of the new team of agents responsible for the band. 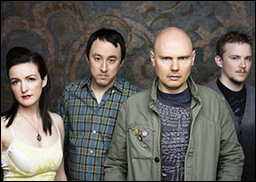 Smashing Pumpkins was previously repped by CAA. X-Ray Touring continues to handle the band’s concert bookings elsewhere around the world. In addition to music, Corgan will continue to serve as senior executive producer for television and part of the creative team at TNA Wrestling, and is also working on a new book. The Smashing Pumpkins are following up a successful tour last summer with new music in the pipeline. UTA has a wide range of clients in all musical genres, including Kanye West, Mariah Carey, Muse, The Black Keys, Paramore, Foster the People, Nickelback, Guns `N Roses, French Montana, Dolly Parton and Action Bronson.